MEEKER I After a 30-point loss in Wyoming on Friday, the Meeker High School girls’ basketball team found their “competitive edge” and beat Plateau Valley in Collbran on Saturday. 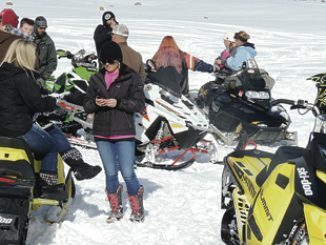 The series of Family Fun Day events at Ute Park and a chili lunch were hosted by the White River Snowmobile Club. RANGELY I The Rangely High School girls’ basketball team prevailed in its two games over the weekend, quite handily defeating Hotchkiss by a 48-31 margin and Caprock by a 54-14 one-sided landslide. 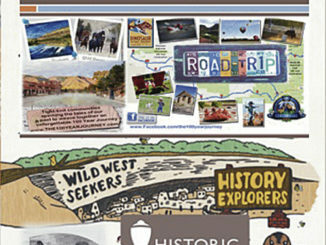 MEEKER I The Heritage Culture Center Committee and Heritage Tourism Task Force met Jan. 19 at the Old West Heritage Culture Center to set the stage for 2016. Dear Editor: I email you to announce my candidacy for Congress in Colorado’s third congressional district. I run to truly annihilate Islamic terror and to reclaim our Constitutional heritage. RANGELY I Competing in the Screamin’ Eagle wrestling tournament in Paonia last Saturday, the Rangely High School wrestlers got a preview of the regional tournament.